US President Donald Trump is skeptical about the degree of the threat posed by white nationalism in the United States and around the world, his comments in the wake of New Zealandian shooting revealed Friday. 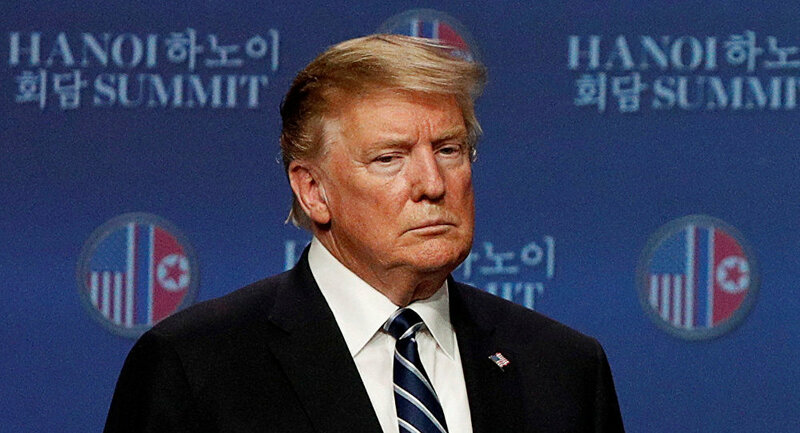 Speaking at a press conference following his veto overriding Congress' decision to end his national emergency declaration regarding the US' southern border, Trump condemned the shooting and expressed his sympathy for the victims who died at "places of worship turned into scenes of evil killing." When asked about his opinion of white nationalism around the world, he said he doesn't think it is a rising global threat. "I don't [think so], really," he said. "I think it's a small group of people that have very, very serious problems." The shooter, who killed 49 people in New Zealand mosques Thursday, published a manifesto, in which he says he supports Trump as a symbol of "renewed white identity." "Were/are you a supporter of Donald Trump?" was one of the questions the shooter posed to himself in the document, answering, "As a symbol of renewed white identity and common purpose? Sure. As a policy maker and leader? Dear god no." When asked about this reference, Trump admitted he was unaware of it. "I didn't see it," he said. "But I think it's a horrible event… a horrible, disgraceful thing and a horrible act." The connection has also been denounced by the White House officials. "It's outrageous to even make that connection between this deranged individual that committed this evil crime to the president who has repeatedly condemned bigotry, racism and made it very clear that this is a terrorist attack," Mercedes Schlapp, the White House's director of strategic communications, told reporters. "We are there to support and stand with the people of New Zealand." Following the incident, Trump had a phone conversation with New Zealand Prime Minister Jacinda Ardern, "offering condolences, prayers and any help the US might be able to provide," according to Fox News. The New Zealand shooter, who has already been charged with murder, used a wide variety of white supremacist and extremist symbols in his manifesto. He also painted his guns with well-known white supremacist symbols, including a "solar wheel" and an Othala rune.